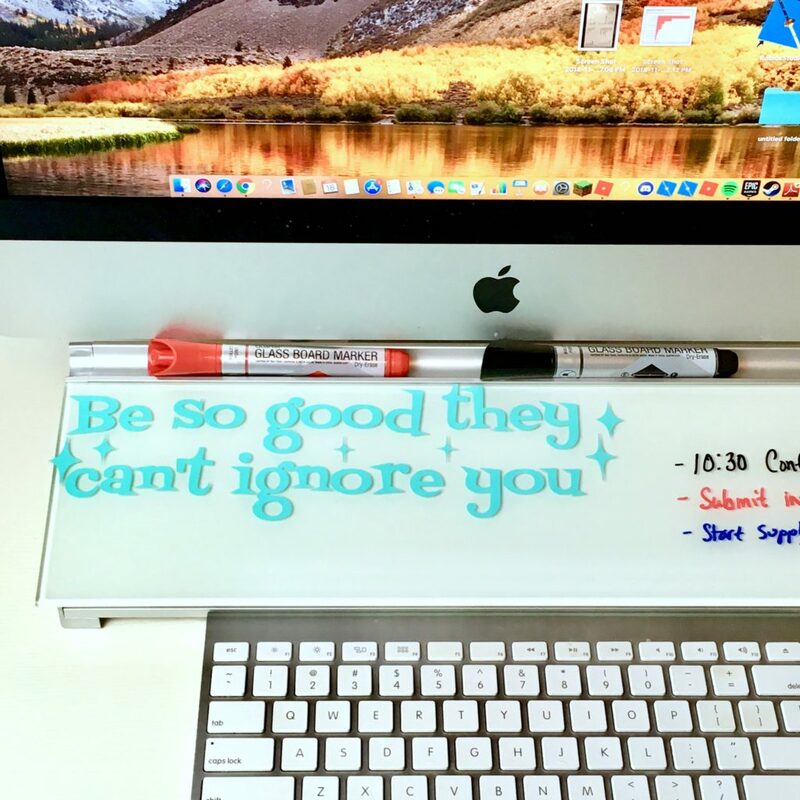 Use this motivational quote free SVG cut file to spruce up your office space. This is a sponsored post. I spend a lot more time at my computer than I’d like to. My passion is making things, but a big part of my job involves editing pictures, writing tutorials, and doing social media work. My work desk had lots of little scraps of papers and sticky notes all over it. Whatever I could grab to quickly jot down an idea or information would do. Napkins, receipts, etc. all had scribble on them. As a result, my desk looked pretty messy, and I had to dig through stacks of notes to find what I needed sometimes. 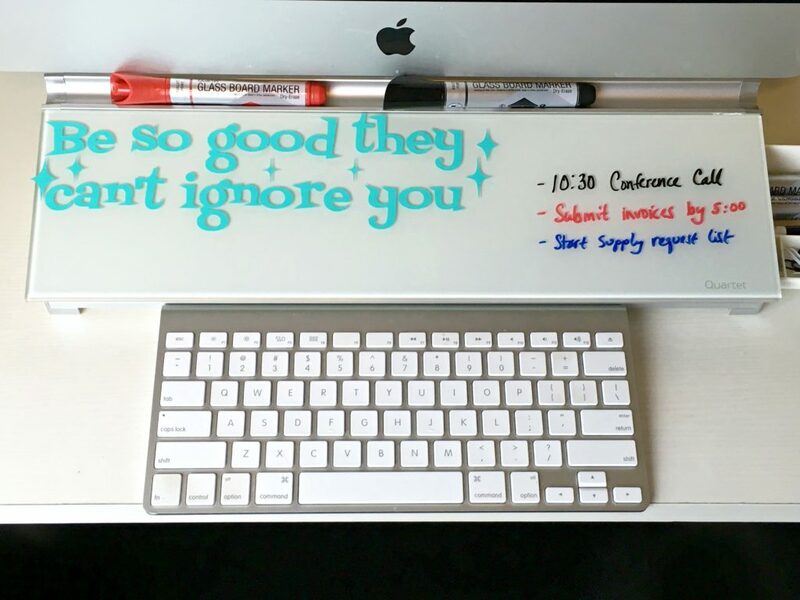 When I was offered the opportunity to test out this desktop whiteboard, I hoped it would help me declutter my desk. I love whiteboards because they save paper and aren’t messy like chalkboards. I like that this item has built in storage for paper clips, markers, and my mini stapler. It fits nicely in that gap between the monitor and keyboard, which is the space that was usually cluttered with scraps of paper. 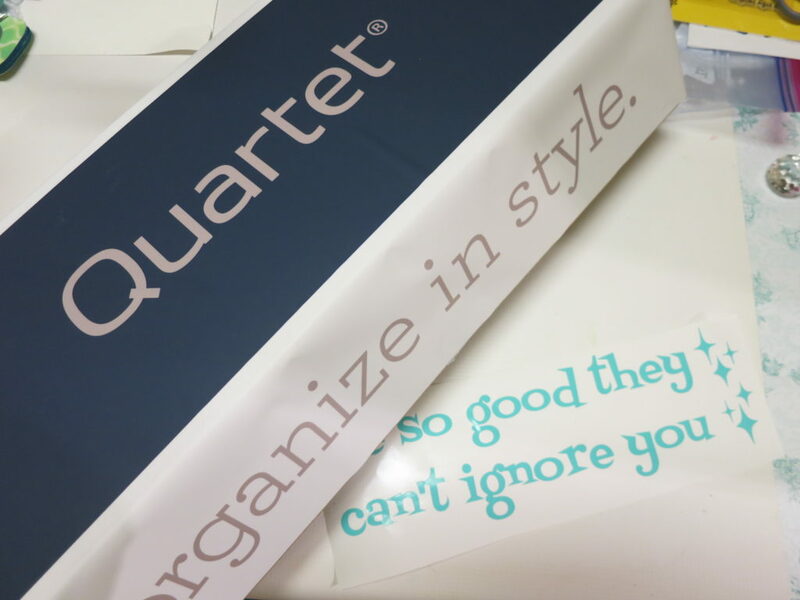 I spruced my Quartet Glass Whiteboard up with a message cut from vinyl. I like having this reminder right in front of me as I work. It keeps me going when I need a little motivation. Simply download the free file and size it to suit your needs. I cut it a bit large, and will probably remake it later so I can fit the entire thing on one line. 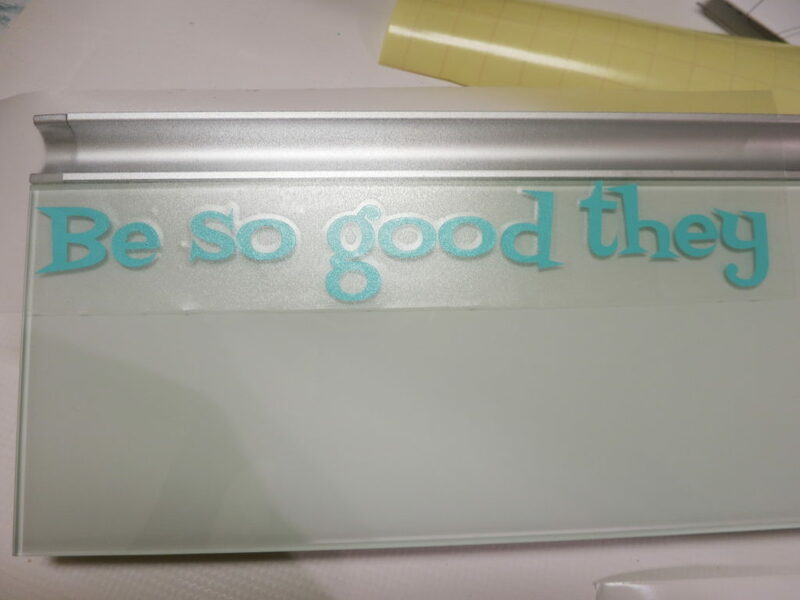 I used transfer paper to add the vinyl to the glass board. 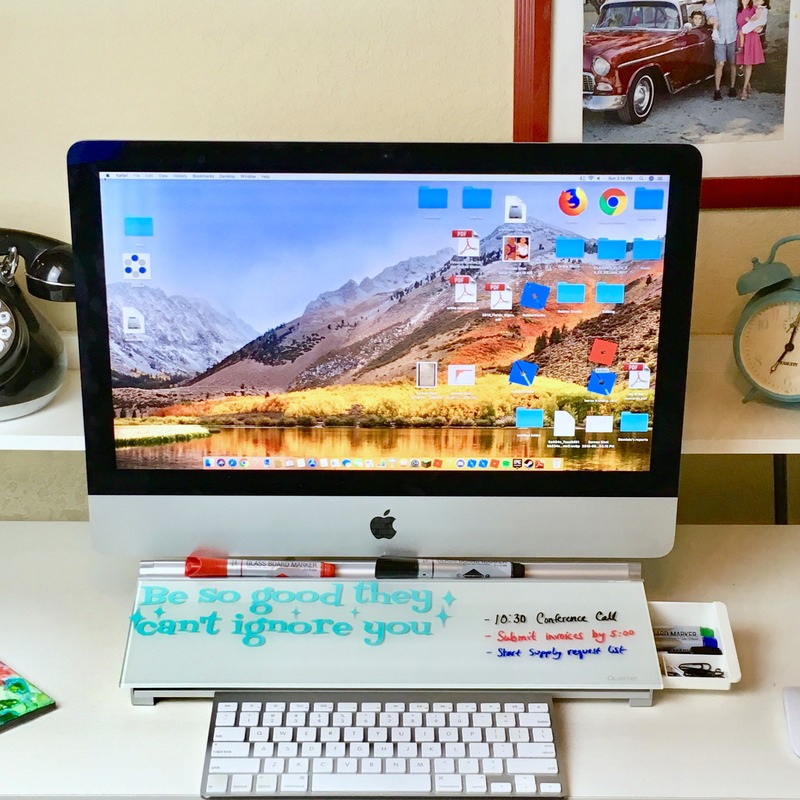 I love having this easy to use and easy to personalize surface in my office!